David Lynch wasn’t present at Comic-Con’s Twin Peaks panel a few weeks ago, but he did prepare a video greeting for the event, after which The Leftovers’ Damon Lindelof led the likes of Kyle MacLachlan, Naomi Watts, Dana Ashbrook, Tim Roth, and more through some predictably obtuse conversation. Although footage of Lynch’s greeting was sadly unavailable, we shared some accounts of it from people who were there. And, now that the Twin Peaks YouTube page has officially uploaded it, we can confirm that it’s even weirder than previously reported. It’s only two and a half minutes long, but it’s rife with Lynchian madness. First, the filmmaker watches someone offscreen open a door in their fourth-floor studio and tumble into traffic. After a burst of static, we’re greeted by a limp arm and clenched fist from which Lynch wrenches a golf ball that he claims is “supposedly the last golf ball O.J. Simpson hit before going into prison in Nevada.” Another burst of static, a standard greeting, and then, after some Fire Walk With Me-style static, a horse apparently bursts into the room. “Manuel! Take that gun away from her!” he yells at one point. By the end, Lynch is comforting a hissing cat and pissed about the destruction of “a damn good lamp.” Lynch, as we all know, loves lamps. What’s especially great about it is the Looney Tunes absurdity and sound design, from the pronounced honks of the outside traffic to the neighs of the horse and the hissing of the cat. 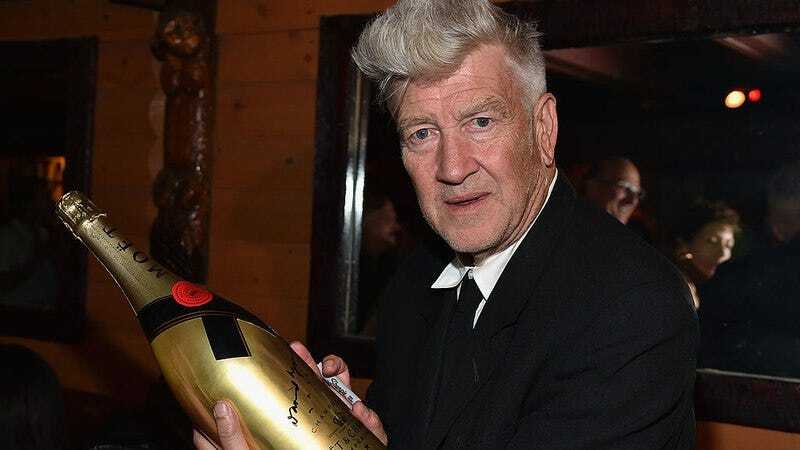 Lynch’s sense of humor is much sillier than his films might let on—his “turnip” joke from last week’s Twin Peaks episode is but one example—so it’s nice to see him be able to indulge it in a setting not reliant on the more twisted edges of his aesthetic.